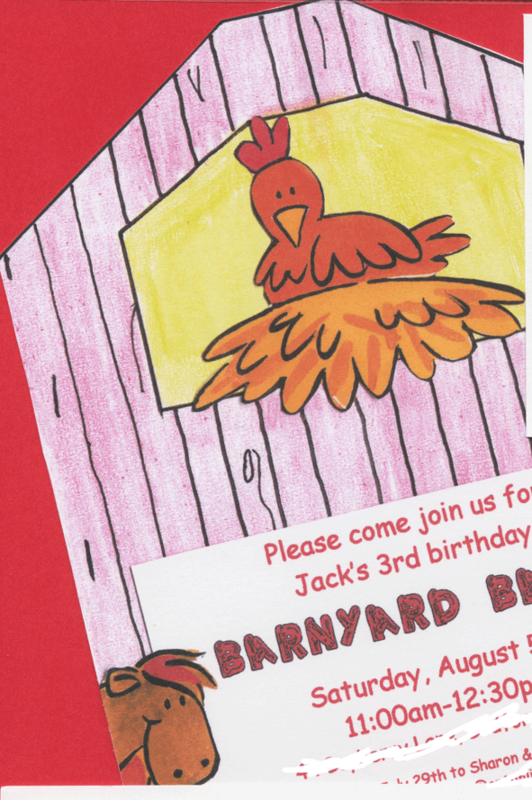 Great 3 Year Old Birthday Party Idea: A Barnyard Bash! 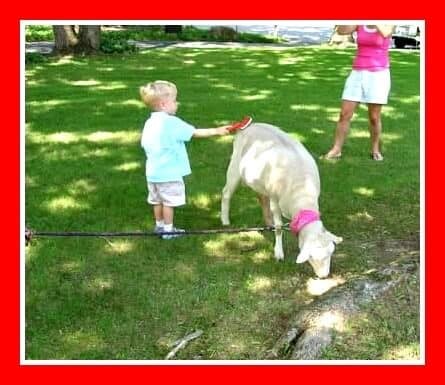 Kids love farm animals…. which is why “Old MacDonald” is often their favorite song when they are toddlers! 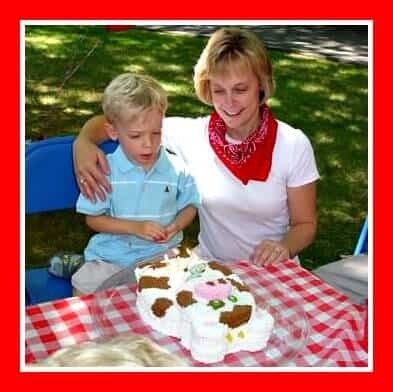 So why not invite “Old MacDonald” to your home and throw a Barnyard Bash for your child's 3rd birthday party? One of my son's favorite books when he was three was called “Ned the Horse“, a story that brought me to tears because it was actually about the farmer “retiring” Ned the horse and putting him out to pasture because he was too old and too tired to pull the plow anymore…. 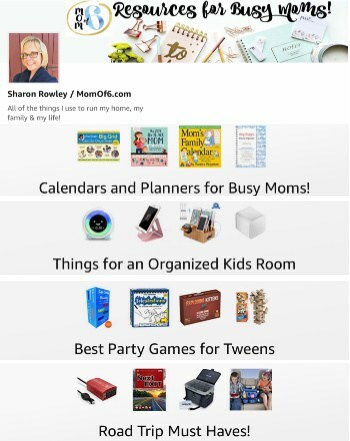 sigh…. (I digress)! I copied the artwork from the book to use in this homemade birthday party invitation which I colored myself (with crayon no less!) and then made color copies to mail out to the party guests! 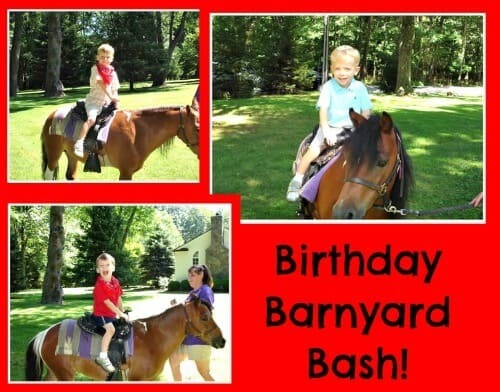 In order to make this barnyard bash authentic, we decided to hire someone to provide pony rides at our house for our son's 3rd birthday party….. and for good measure, we paid a little extra to have them bring along a few other animals and set up a mini petting zoo with a goat, a sheep and some bunnies. While this was completely adorable and we got some great pictures of each of the guests riding the pony….. the reality is that once a child rode the pony (5 minutes) and brushed the 3 animals (5 minutes)…. they were bored and looking for some “real” entertainment! 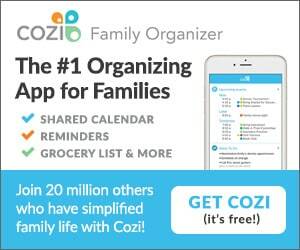 I was prepared with a few diversions……. 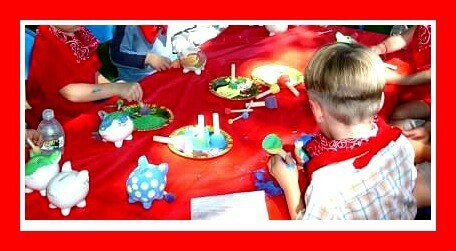 our craft was to paint these ceramic piggy banks, which I purchased at Oriental Trading Company and gave the kids sponge “dot” paint brushes to keep the project simple for them to do. 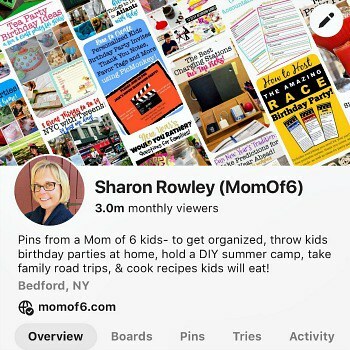 When the kids finished up their piggy banks, we played a few rounds of freeze dancing and some games of Simon Sez (3 year-old style!) We ate lunch about 20 minutes earlier than I had planned, and then I convinced all of the children to take one final pony ride before the pony lady carted up all the animals. I think we then resorted to getting some tricycles and ride-on toys out of the garage to keep everyone happy until it was time for birthday cake! 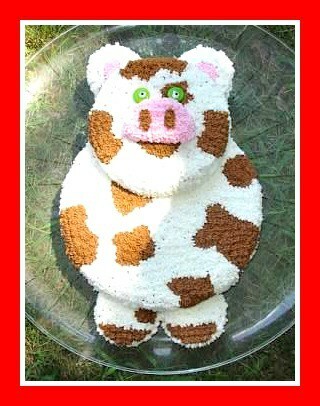 Barnyard Party Birthday Cake and Cupcakes! This cake was made with several sizes of round cake pans, and I used cupcakes for the feet and ears. And since I had a few cupcakes left over…. 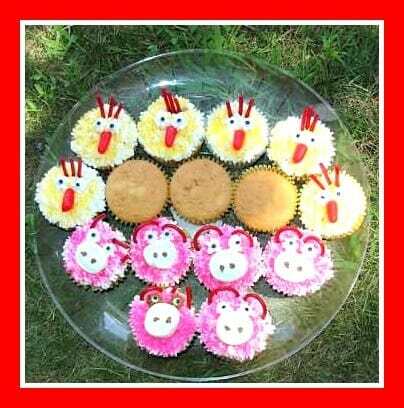 I made these cute rooster and piggy cupcakes (and left a few plain too…. in case of picky eaters!). In spite of the fact that the pony rides and petting zoo didn't keep the kids as entertained as long as I had thought it would, my son and his friends still had a wonderful time. And we look back on this party with such warm memories! 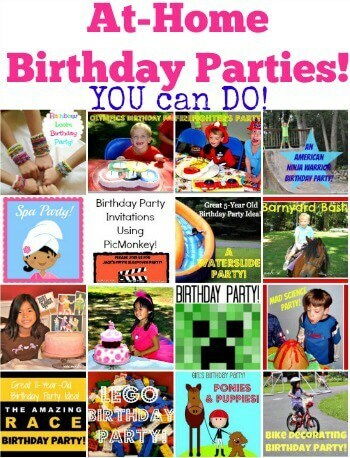 « Great 4 Year Old Birthday Party Idea: A Safari Party!